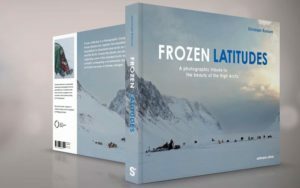 Since 30 years I travel to the High Arctic. If there is one thing that blows my mind every time and is like a dream come true, it must be witnessing the colorful Aurora Borealis in the Night Sky. The cold Arctic air allows us to witness colors of an incredible intensity. On each of my travels, in every cloudless night, we were drawn to the snowy landscape. 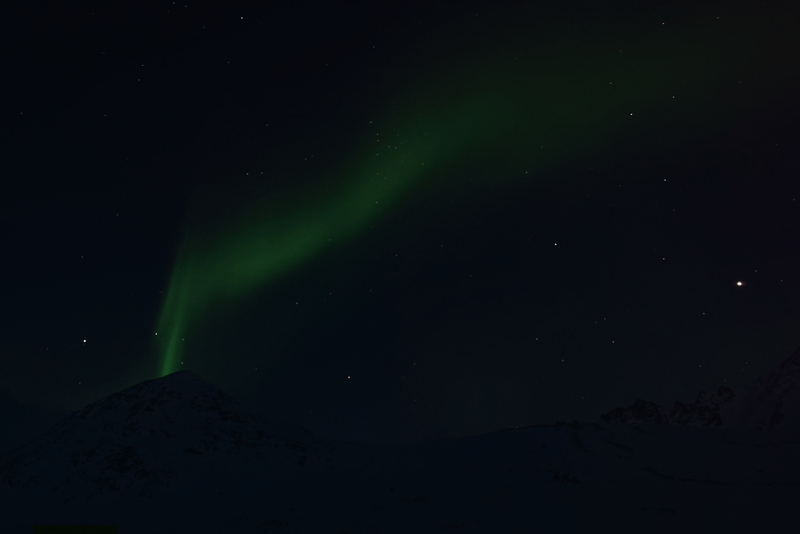 Wearing a winter overall as the sixth warming layer on top of the other five layers of winter trousers, anoraks, hoods and thermal underwear, we lied on our backs in the snow, looking up at the brilliance which outshines the darkness of the sky. Stars upon stars populate the night sky. There are so many of them that it is hard to spot the various star constellations. We are looking at the Milky Way, a distinctive band right above us. The lack of matter between the stars becomes even more apparent when the ionized solar winds interact with the Earth’s magnetic field and begin to paint bright arcs of Aurora Borealis across the sky. The dominating phenomena is a slowly dancing band of light that shoots over hilltops like laser beams. A corrugated curtain hangs in the sky and moves gently, powered by extraterrestrial forces. 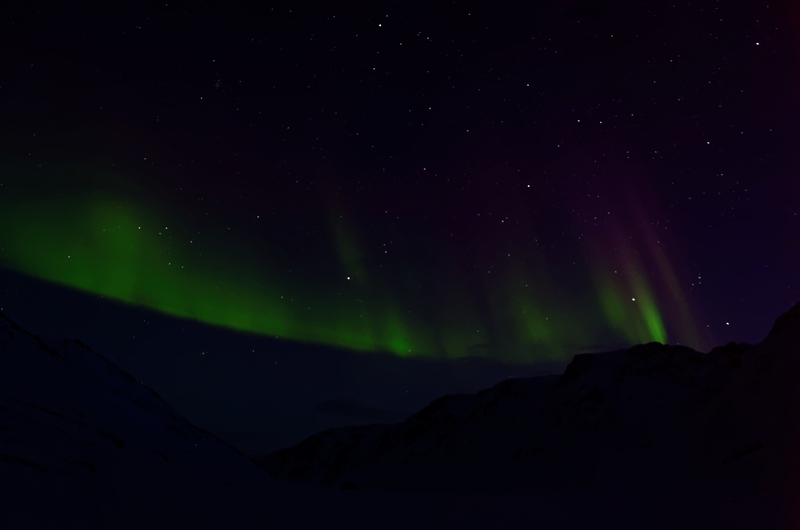 One Aurora changes within minutes into a new one. These Celestial Morphs consist of a constant change of green-yellow and sometimes reddish light. All the sky is in motion and changes permanently. Silence surrounds our breathing and becomes visible in the light of the headlamps, through the condensation on our face masks and the crunching of the snow. 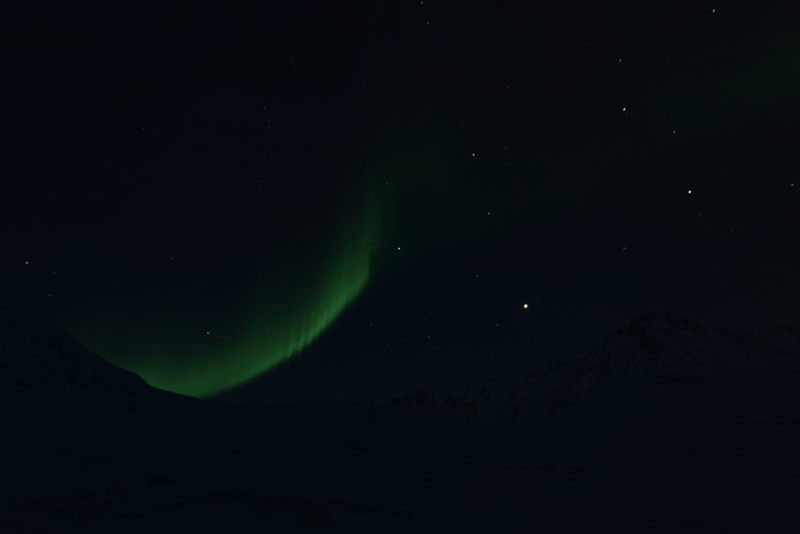 As we changed our position to watch a new Aurora, our heartbeat dissolves into the heartbeat of the Arctic winter. BUY NOW & GET A DISCOUNT!